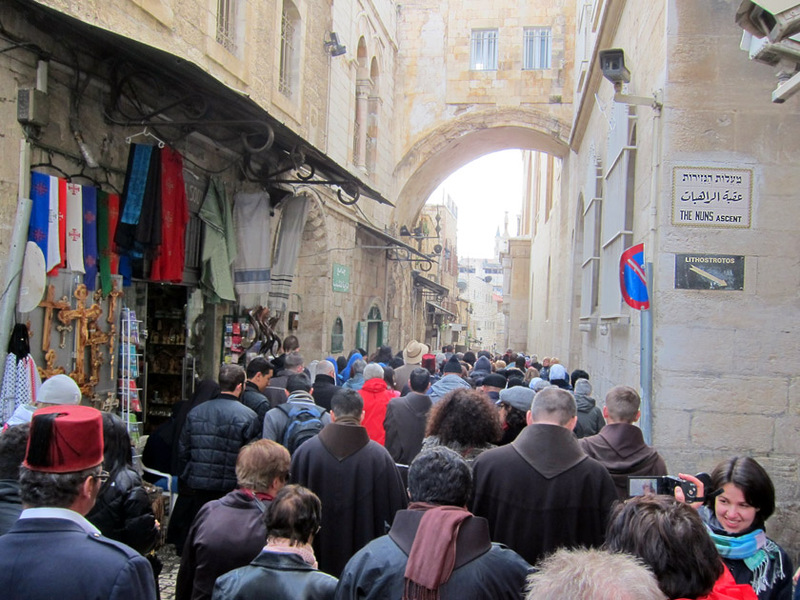 The Ecce Homo Pilgrim House is located in the Muslim Quarter of the old city on the Via Dolorosa, between the second and third stations. The house is run by a French religious order, Congregation of Notre Dame de Sion, and is part of their larger convent complex. Volunteers who live in the community also help run the guesthouse operations. From the street, you’ll find the convent entrance beside the Ecce Homo Arch over the street. 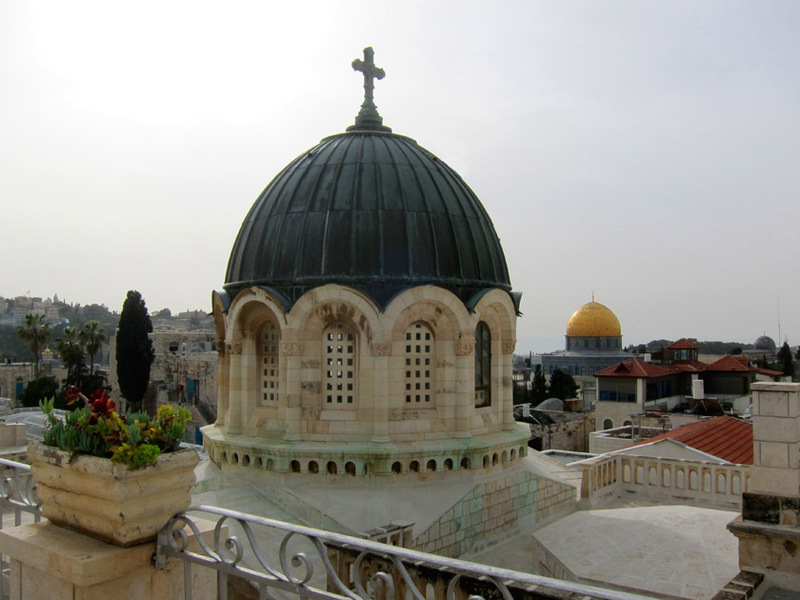 From the roof of the guesthouse you can see the Ecce Homo Church and the Dome of the Rock. The Sisters were incredibly hospitable. While the rooms were bare-bones simple, they were clean and neat. The guesthouse was in a perfect location and provided a peaceful retreat in a very crowded city. But best of all, the roof-top view of the city was priceless! Night view from the other end of the guest house roof. 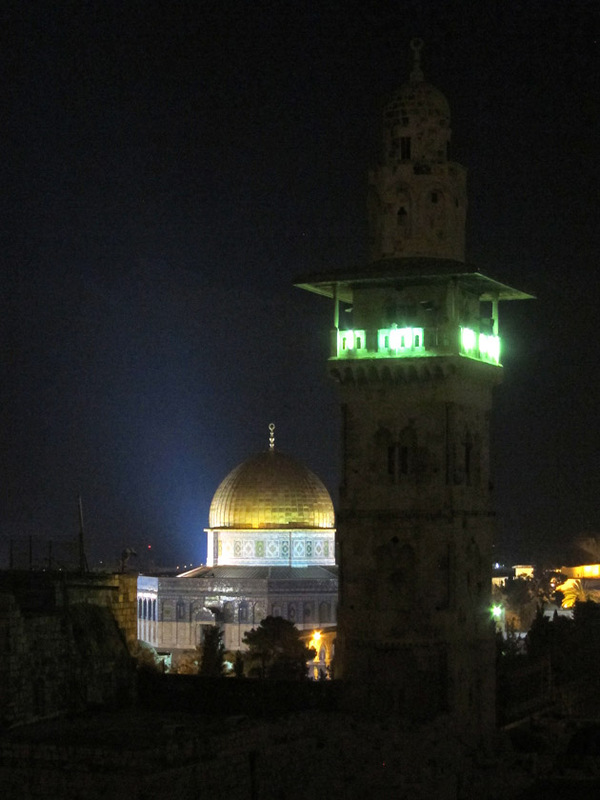 You can see a nearby minaret and the gleaming Dome of the Rock. I had dinner one night at the convent (which unsurprisingly included an amazing red wine sourced from a Catholic monastery in Northern Israel). I had a chance to talk with some of the other travelers and pilgrims staying at the guesthouse. This included an adventurous Japanese woman with an interest in world religions and a visibly shaken Frenchman who had just spent a very profound night in the Holy Sepulchre, specifically Le Tombeau de Jésus. I enjoyed this chance to talk with my fellow travelers who, along with locals I met, really added depth to my visit. In the geography of 70 BCE to 70 CE Jerusalem, the area around the convent would have been just beside that Antonia Fortress. Tradition holds that this fortress was the site of the Praetorium and the residence of Pontius Pilate. 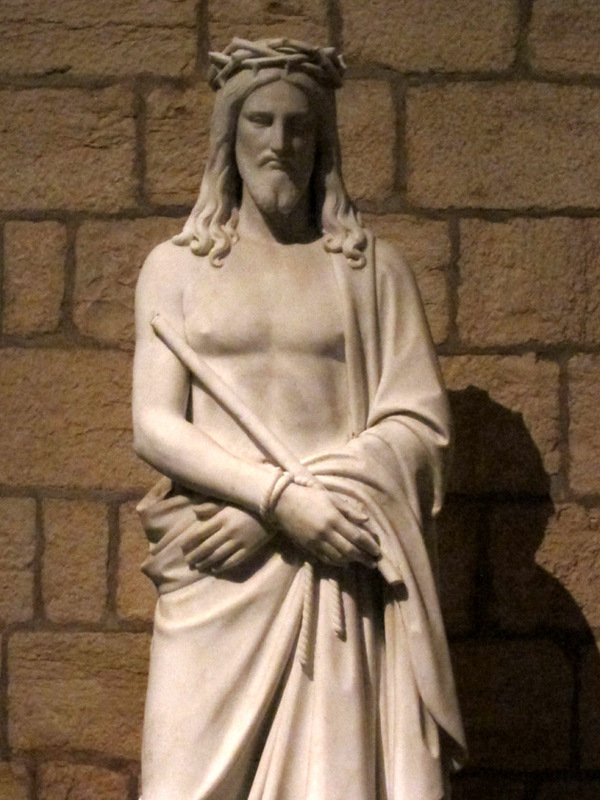 Therefore, the convent location has been associated with the presentation of Jesus to the crowd before execution where Pilate is believed to have stated, Behold the Man (i.e. Ecce Homo). Today, the church is a surprisingly quiet and reflective spot considering the heavy foot traffic along the Via Dolorosa beside it. 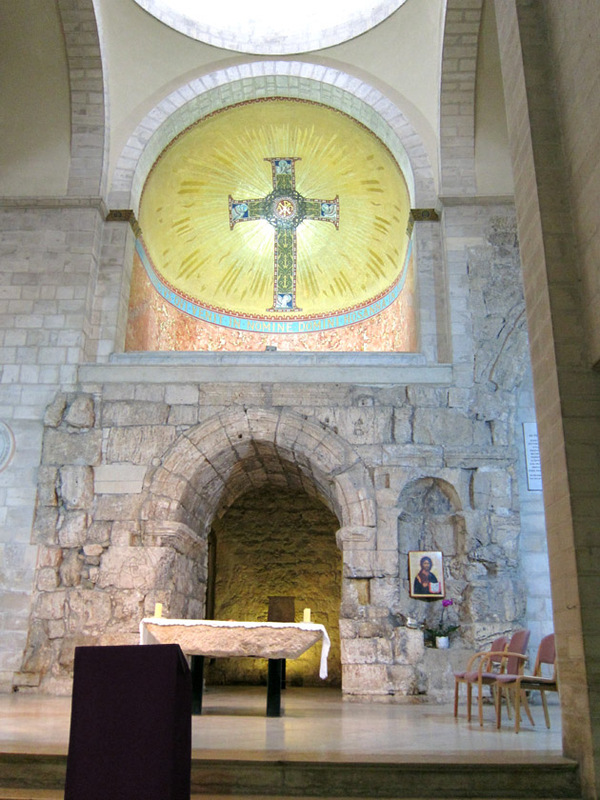 Altar of the Ecce Homo Church. See the Roman arch under the dome? The church dates to 1868 but incorporates some interesting ancient architectural elements. Hadrian constructed a triple-arched gate along the now Via Dolorosa which served as an entrance to his new forum built on this site. The smaller side arch has been used to frame the choir of the Ecce Homo Church. 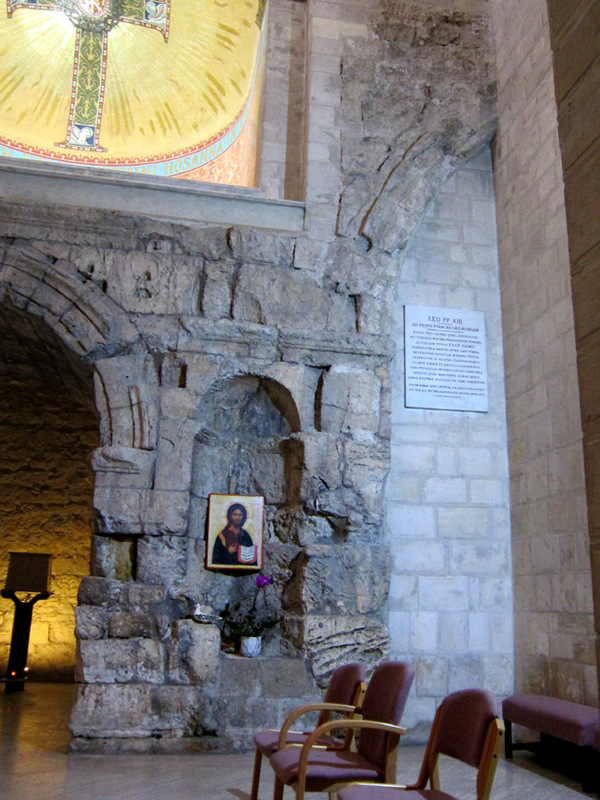 The tall, central Roman arch of the gate can be see beside, in the church’s aisle and is cut through by the wall of the church so that only about a third of the big arch is visible. Looking right, you can see how the Roman arch and statue niche have been incorporated in to the church design. While I was quite comfortable and at home with what felt like my “private church” accessible through the convent, I realized the importance of this place one night after coming home from dinner. It was twilight and there was a small group of Russian Orthodox priests and nuns praying with candles just near the entrance to the convent. Slinking to the other side of the street, I watched them finish and move forward down the Via Dolorosa. It made me realize that there were probably several other layers of even just Christian religious traditions laid out over the city that I didn’t know which put a new reverent glow to the steps of my Jerusalem home. 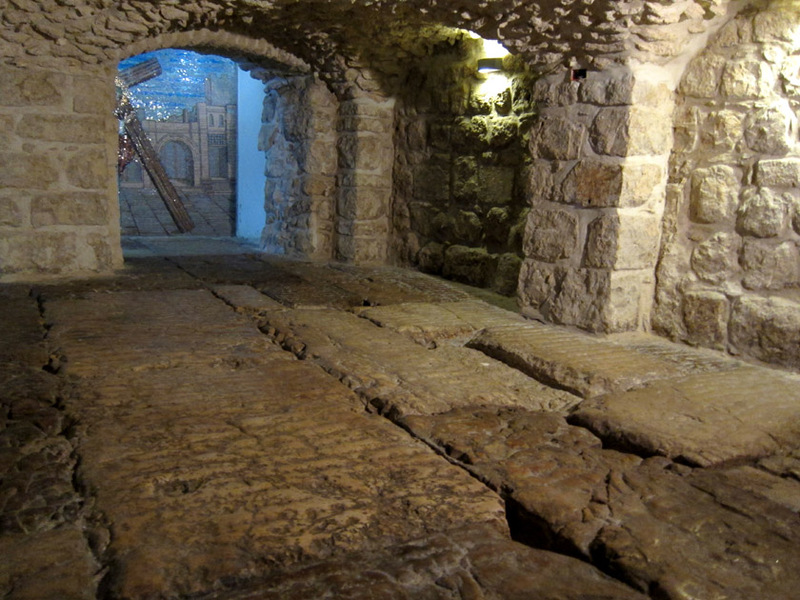 19th century excavations under the convent revealed a series of 1st century CE Roman archaeological ruins. Here we find a large section of the Roman street with broad paving stones known as the Lithostrotos. This section is actually part of the 135 CE forum re-design executed by Hadrian which uses recycled stones from the Antonia Fortress. 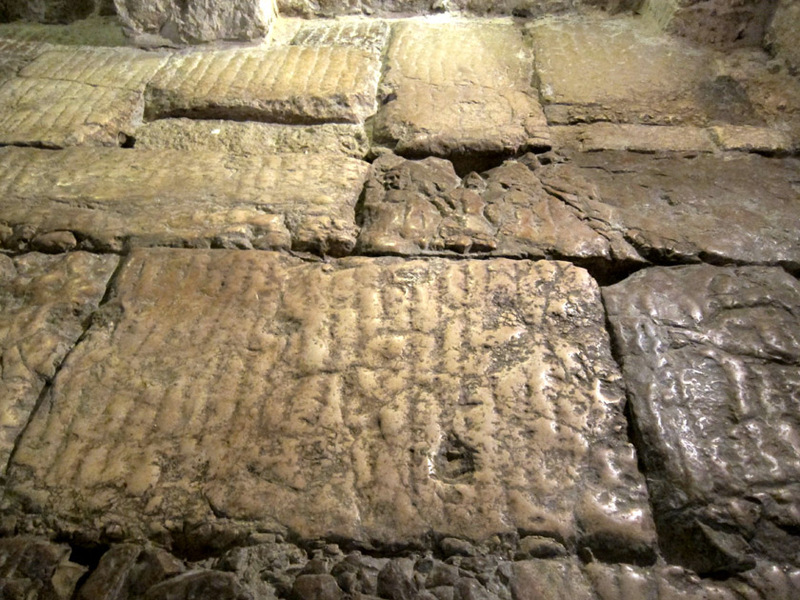 Because these stones came from a site associated with Pontius Pilate and the judicial function of the Praetorium, many believe these stones to be a relic from the Passion of Jesus. Here is a circular Roman game board carved into the street stones. Through some major photo color manipulation, you can make out the lines of a square game board. 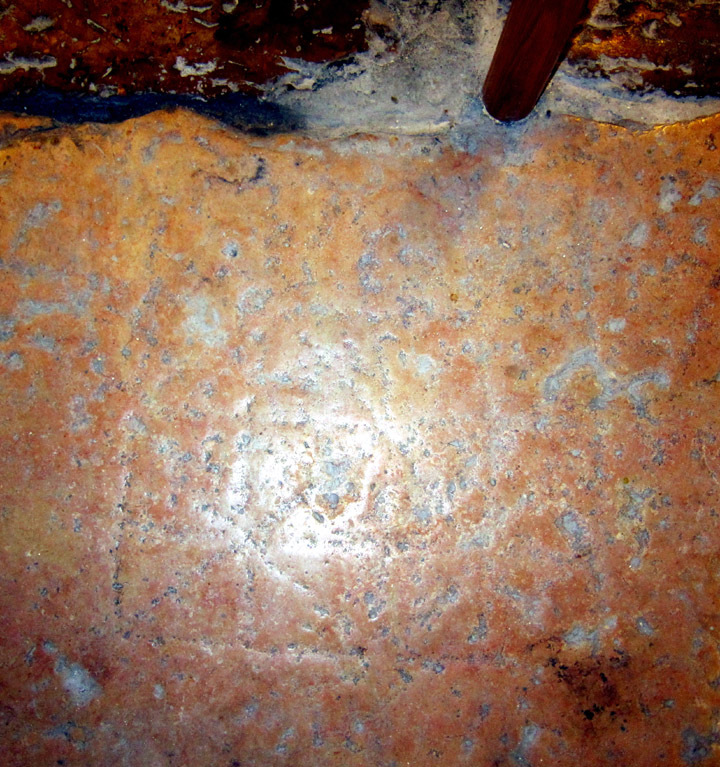 Among the paving stones, there a couple that have been carved with Roman game boards. It was hard for me to make out the details but I definitely recognized square and circular boards like others I’d seen in Ostia Antica, Ephesus, and other Roman archaeological sites. 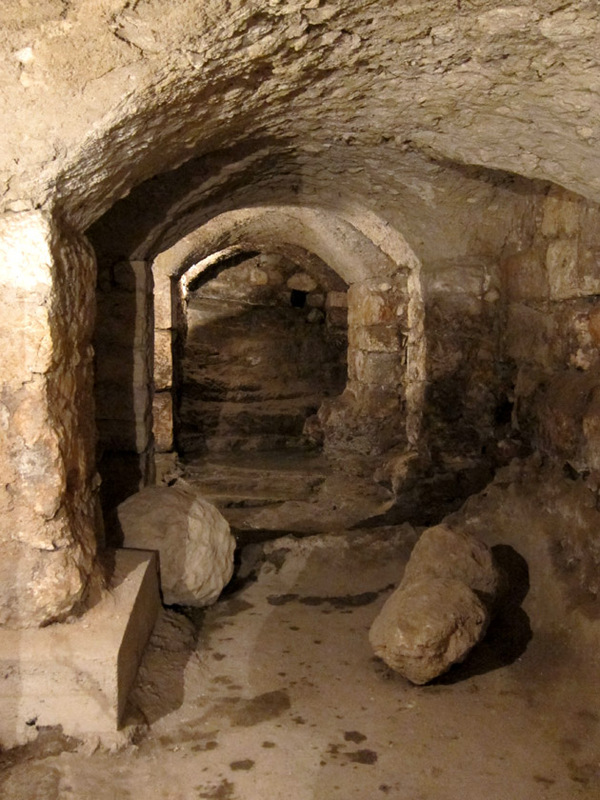 This underground passageways in the Lithostrotos leads to the Struthion Pool. If you didn’t realize it from my rooftop pictures of the Dome of the Rock, the convent complex is very close to the Temple Mount. It is so close in fact that it connects to a series of 2nd century BCE cisterns that were built to supply the temple complex. in 30 BCE, one of these cisterns was converted around into the Struthion Pool to fed the Antonia Fortress. In 135 CE, the pool was then vaulted over by Hadrian so that his forum could extend over it. Thus, as you wander through the Lithostrotos excavations, you can find a staircase leading to the Struthion Pool which is an eerily cavernous space that still contains water two centuries later. 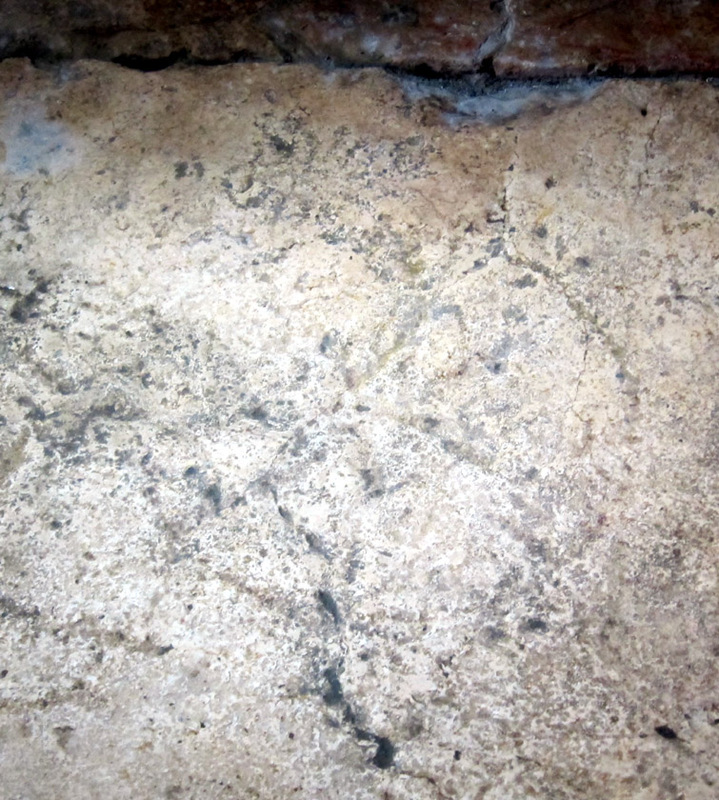 Subterranean 1st Century CE Roman street stones are still very cool. It’s hard to imagine such an amazing thing hidden along the Via Delarosa, but in many ways the Ecce Homo site echoes my experience of Israel. Every place is packed with meaning and has a rich connection to history – even to our ancient past. People are very friendly but purposeful, and there is a prevailing scene of religious importance that seem to infuse down into every stone. If you are in Jerusalem, I definitely hope you can visit this place and have as much fun discovering its hidden mysteries as I did.